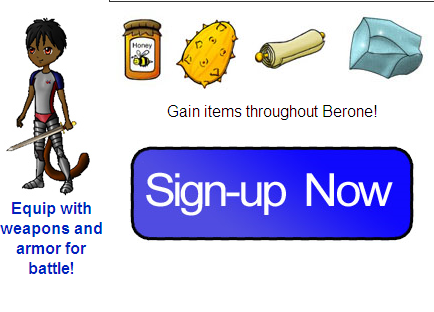 Berone.com is a FREE economy driven game, putting users into a fantasy created world. Users will decide how to choose their path at achieving a common goal of fame and fortune. Players are able to create their own personal character, choosing their physical features. In game currency is very important, you can buy clothes, weapons, armor, food, and many more important items. Users have the ability to battle against each other in the Arena.